Hello lovelies, today I have a tag for you all, an Interview to all get to know my beautiful best friend Jessica over at Coffee&Cosmetics, I hope you enjoy it. 1. What's your name & blog name? 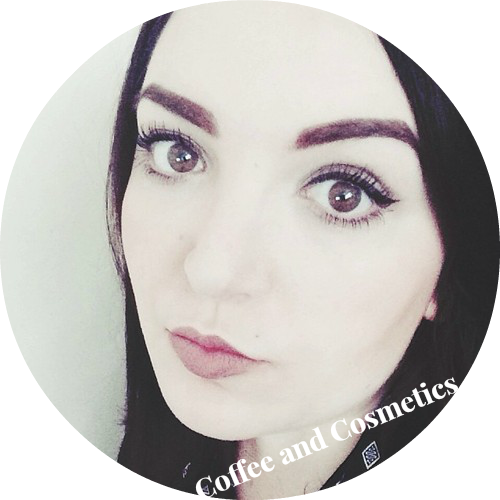 My name is Jess and I blog over at Coffee and Cosmetics 2. Give a little introduction about yourself. 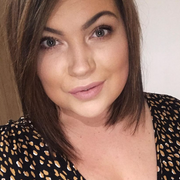 I am 24 years old, I live in a small town called Rugeley and I work as a Receptionist and Administrator at a GP Medical Practice. I have a boyfriend called Scott who I am deeply in love with, he makes me so happy. I also run my own blog which is my little corner of the internet where I like to post about everything beauty, lifestyle, a bit of fashion here and there and everything else inbetween. You name it, I can blog about it. As well as my own blog, I also write for a blog called www.beautymotivates.com - writing up reviews, how tos and general information on blogging. 3. What inspired you to blog and your blog name? Well I am a self taught webdesigner from the age of 11, I taught myself HTML coding, CSS and some basic design to go with it. I created my own websites (I didn't have many friends) and I would sit in my own little world creating these online domains and decided to open up my own blog which I initially used Livejournal. But as the years went by, I discovered blogger. I noticed a couple of bloggers had started blogging about beauty products, lifestyle and fashion posts too. As a fan of cosmetics, I thought why not create my own blog. Initially I had other blog names but finally decided on 'Coffee and Cosmetics' - I love coffee and I adore cosmetics, so the name goes hand in hand really. 4. What's your blog focus on and what do you love blogging about? My main blog focus is beauty and I absolutely love writing about it but I also write lifestyle posts which can be wishlists, recipes, days out, instagram posts etc. But I love to write about products that I love using and spreading the word about my favourite brands and new releases. It really is a passion, so why not share that passion with everyone else! 5. What's your biggest passion? My biggest passion would be to have a career as an online blog content writer which I am kind of doing already for another company/lady. But I am doing this amongst everything else in my life at the moment. I'm running a blog, writing for another blog, working full time and having a social life inbetween and it can be quite hard but I always find time inbetween to blog. My blog is one of my biggest passions, so I keep it going. 6. You've been given 20 minutes to shop for whatever you want! What do you buy? If anyone knows me well by now it would either be stationary, makeup or food. I literally don't spend my money on anything else. Even if I don't need the makeup items that I've picked up, I will buy them and will find a use for them eventually. I will buy products that I have been lusting after. I will sometimes buy articles of clothing that I find nice or pens/notebooks that I know that I might probably use... such as for blogging purposes. But if it had to be anything at the moment it would be holiday clothes or any essential items for my jollies! 7. 4 things you want to accomplish in 2014? - Finish off my NVQ 2 in Business and Administration. - Start a degree on Open University in Business Studies. - Get a full time job with my NVQ qualification. - Start saving up for my own place. 8. What's a must buy that you recommend to everyone? (It can be anything). You must buy the Real Techniques makeup brush collections. Every single brush is what you need in your life. I own most of the collection and I cannot rave about them enough. They are such good quality products and you can get some of them for very cheap from ASDA. Take a look and maybe purchase some for yourself! A lovely interview with Jess, also you two seem to have a great friendship! !